Small Forest Landowners and the Four Letter “S” Word …. Who are small forest landowners and what do they want? Small forest landowners own forestland for lots of reasons. Growing the most timber possible or making the most money possible are almost never among those reasons. According to a recent national survey, only a small segment (8 percent) of private, non-industrial forest landowners who collectively own 12 percent of family forest land is primarily concerned with productivity and profit. A much larger chunk, classed as “Woodland Retreat” owners and accounting for 40 percent of small forest landowners and 35 percent of family forest land, is primarily interested in the beauty and recreational values their land could provide. Another 30 percent of owners—the “Working the Land” owners holding 37 percent of total family forest land—are motivated by an ethic of respectful and judicious land use, and want to manage primarily to preserve the ecological health of their land along with retaining its financial value. Together these groups account for 70 percent of owners and 72 percent of the area managed by small forest landowners. Interesting discords arise when you overlay the reasons that people own and manage forestland onto a largely fire-driven ecosystem that has been substantially disrupted for about 100 years by suppressing fires, harvesting timber, and building houses in forests, among other human activities. It is not uncommon for people to buy forestland in eastern Washington with the intention of “letting the land and forest heal.” What they often want is for their forest “grow into a natural condition, unperturbed by the influence of man.” This may be a laudable goal, depending on your point of view, but this approach to management rarely produces desirable outcomes in eastern Washington. Periodic ‘thinning’ by natural fire helped produce the familiar open ponderosa forest landscape. Photo: Carol Mack/WSU. Generally, the forestland in eastern Washington owned by small forest landowners is in lower elevation areas where fire used to be a frequent and persistent change agent. Fires serve many ecological functions including removing dead wood, resetting stand trajectories to younger-aged forests, and changing tree species composition to more fire-tolerant tree species. Without periodic fires, eastern Washington forests tend towards overly dense stands, comprised of tree species that are highly susceptible to damage from insects, diseases and fire. Landowners hoping to “restore nature” by protecting their forest from disturbance and letting their forest grow may in fact be continuing the dramatic disruption of natural processes initiated when fire was removed from the ecosystem. Instead of taking charge of managing the land with respect to ecological processes, they are ceding management. Nature’s answer to forests out of synch is generally provided in the forms of forest insects, diseases and/or fire. It is not practical to reintroduce fire across the landscape at the scale at which it occurred before European settlement, so the alternative is to manage forests by other means with historic ecological processes in mind. Managing to “let the land and forest heal” is really about restoring the processes, structures and functions forests once had. This will more likely be accomplished by active rather than passive management. For example, cutting some trees and leaving others can create a forest more like what natural processes would have created. Thinning a mixed conifer forest. Photo: John Stuart. A common forest management approach is to favor ponderosa pine and western larch as “leave trees.” Both species are shade-intolerant, fire-tolerant and resistant to many insects and diseases. You might need to remove much of your grand fir, a fire-intolerant and shade-tolerant tree that once occupied a much smaller part of inland forests before fire suppression. Grand fir seeds prolifically lead to thick understory stands that are susceptible to many insects and diseases. Depending on the current condition of your forest, “cutting” may mean thinning dense stands of young trees. It may involve a partial cut, possibly even a heavy cut of overstory trees to achieve the intended outcome of an ecologically sustainable forest while still giving attention to a landowner’s other objectives. Is there a secret language used in the backwoods of eastern Washington? An aversion to active management of the forest leads to a second interesting discord for some forestland owners. Many landowners envision time and protection as the tools they will use to accomplish their objectives of restoring the forest. Imagine their consternation as they learn that working towards a sustainable forest that replicates historical conditions may be best accomplished using tools such as chainsaws, bulldozers, logging trucks, and drip torches. A recipe for conflict and debate, is it not? One really good way for landowners to get expert advice on how best to achieve their objectives is to engage the services of a forest consultant. All of the consultants I know in eastern Washington are extremely knowledgeable about forestry and intensely in tune to the reality that every landowner has different objectives for their forest. 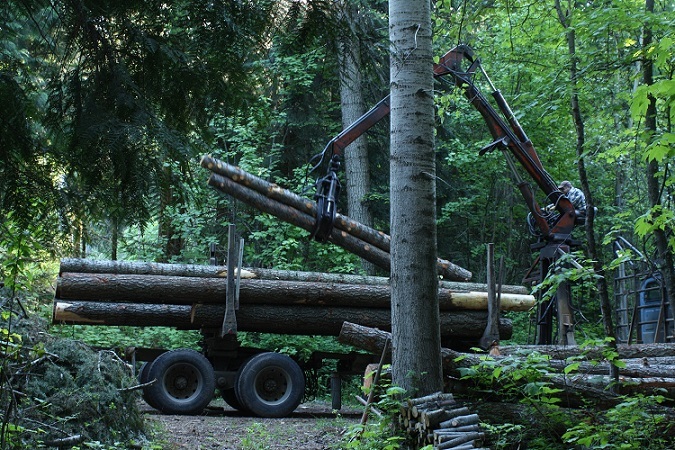 Good forest consultants are also very astute in the business aspects of forestry—how to, for example, get a high-quality, professional logging crew to harvest the selected ‘cut’ trees and leave behind no damage, or how to sell logs to a mill at the best value possible to generate funds for accomplishing other management objectives. To make the relationship between client and consultant go well, landowners are advised to be cognizant of the language involved in the profession as well as the basic concepts of human applied management. I’ve seen instances in which the initial encounter between a “Woodland Retreat” landowner and a forest consultant did not go well because of a conceptual gap in understanding when the S-A-L-E word comes up. A timber sale is a powerful tool for creating desirable forest conditions in eastern Washington, substantially replacing work once done by fire. In addition to being an ecologically sound way to create healthy fire-, insect-, and disease-resistant forests, timber sales help society by providing valuable wood products and jobs for communities. But for many landowners, it may seem ‘wrong’ to make money off of a forest they perceive as being damaged and in need of TLC. Consultants are encouraged to listen carefully to landowners’ objectives and try to see the forest as landowners do. They must provide information to landowners where their assumptions do not match ecological reality. Landowners are encouraged to be willing to constantly learn and challenge old assumptions about the forest ecosystems they own and manage. They should seek to understand the tools and techniques available to restore and sustainably manage forests so as not to be put off by using active management, and even a timber sale, as a tool to restore forest health. 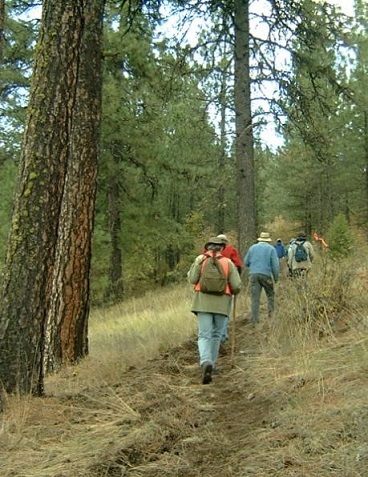 Two great opportunities are available to small forest landowners to begin this process. One is to call the DNR Stewardship Forester in your area to get a free, on-the-ground professional perspective on what management practices may best help you meet your objectives. The other is to participate in a WSU Extension Forest Stewardship Coached Planning Course which covers forest ownership from the ground up. And, that brings me to the 4-letter word that starts with “s”. That word is, of course, S-O-I-L. Always take care of your soil in any of the work you do on your forest land—but that is an article for a future issue! Next Next post: How Many Calories Do You Burn Working in the Woods?